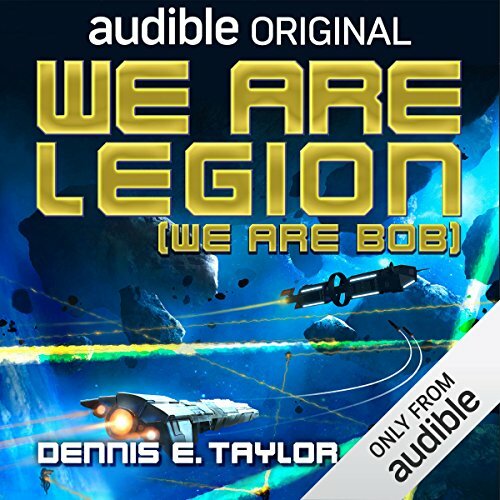 There's a reason We Are Legion, We Are Bob was named Audible's Best Sci-Fi Book of 2016. 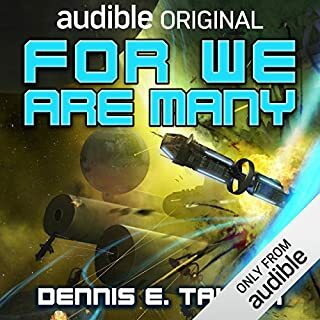 Unique, hilarious, and utterly addictive, Dennis E. Taylor's debut novel kicked off an Audible-wide obsession among sci-fi diehards and new listeners alike. 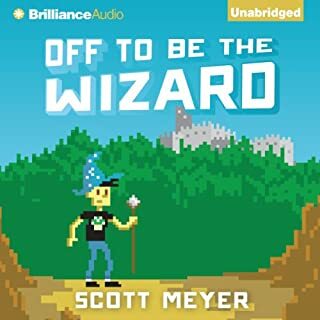 Listener-favorite narrator Ray Porter (14, The Fold) brings the many Bobs into being in all their glory, delivering a performance that listeners have described as "outstanding," "nuanced" and a "dizzying tour de force." 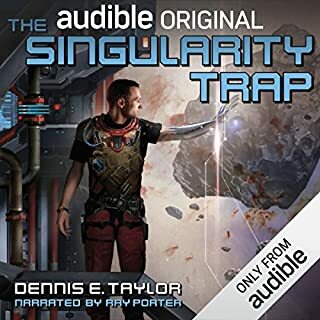 ©2016 Dennis E. Taylor (P)2016 Audible, Inc. The Narrator does a fantastic job. I Loved it more as the story went on. Superb performance gives life to each Bob. 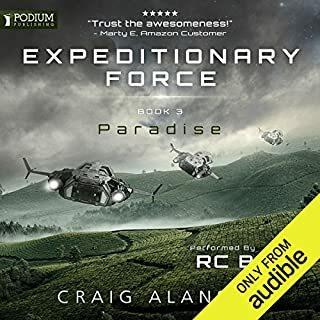 Engaging story, great if you like sci-fi! Just nerdy enough without getting on your nerves and same for the science-cy bits. 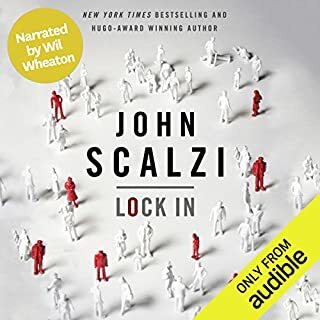 It is my first audio book and I honestly did not think I would like it so much. This is a great book about a future dystopian Earth with lots of references to 80's sci fi TV series. I'm really looking forward the the next one. the narrator is excellent and there are a great deal of philosophical questions about consciousness and such that are brought up by the story. very well-crafted book. This novel was well written, descriptive and fascinating. A look into a scarily plausible future where artificial intelligence in a post-apocalyptic Earth leads one man on a quest to save the human race. It’s rife with intrigue, action, geeky science fiction references, humor, and it filled me with both hope and fear. I can’t wait to read the next two! Great book, and it had some good laughs. "the bobiverse" my family and I listened to this book on a road trip and I quote "do we have to stop dad? I want to listen to the book more"
This voice actor is simply superb. I would listen to other audiobooks, no matter the subject, as long as they were voiced by this guy. The story itself is fairly interesting and pretty unique. 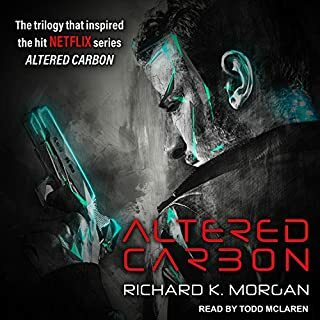 It was a bit hard to follow the constantly changing narrators, and it does end rather abruptly - clearly a bait to continue reading the series. But other than that, an enjoyable and somewhat educational "read". I will have to check out the next book in the series for sure. We at legion we are bob was an entertaining listen. Ray Porter’s performance was great and had me hanging on every one of Taylor’s words. 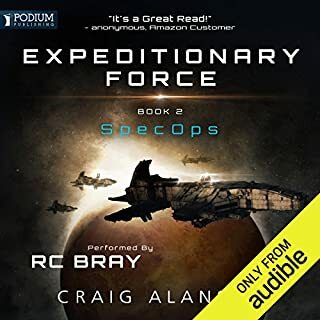 If your a fan of pop sci-fi this book is for you. 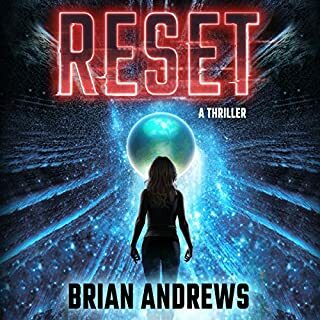 the story takes a new and different approach to scifi, the author clearly has studied enough to get the science generally right, much more than other stories . the story draws you in and keeps you engaged. the voice actor does a marvelous job of giving the multiple characters their own voice personality. Exactly what I was looking for, will be getting the others as I binged this in a weekend. Great listen. While I enjoy science fiction, I'm not a die-hard reader of it. I kept seeing this book pop up in my recommendations, and I kept ignoring it each time I read the publisher's summary. It seemed like a generic plot and nothing notable. I suspect the author of the publisher's summary only read the first few chapters, as they didn't really seem to know what the book was about. The story is interesting and fast-paced. In addition, Ray Porter is extremely talented and did an incredible job of delivering the story, as well as all the emotion and humor that went with it. I think this is one of his best performances. I don't write reviews for books, but this one was good enough that I wanted to take the opportunity to potentially nudge someone else that might be on the fence about it. I have been attempting to expand on the science fiction authors I read. I discovered this debut novel by Dennis E. Taylor and decided to try it. I try to read debut novels to support new authors. The idea of the story I found intriguing. A brilliant software engineer was hit by a car and died unexpectedly. He had requested his brain be frozen at his death. When he is revived a hundred years later, he discovers that his mind has been co-opted by a group of religious fanatics called FAITH. Bob’s mind is now the computer AI of a space probe sent out to explore the galaxy for a new planet to inhabit. Bob then creates more of himself to spread out around the universe looking for an inhabitable planet. It turns out two other groups are hunting for an inhabitable planet also and will do whatever it takes to achieve their goal. The book is well written. I found the idea of the human mind in the role of a controlling AI fascinating. The characters are interesting; the plot well developed. There is humor, good dialog and the story is highly entertaining. The book is nine and half hours long. 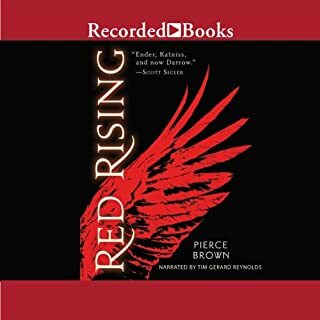 Ray Porter does an excellent job narrating the book. This is an example of how a great narrator makes the story better. 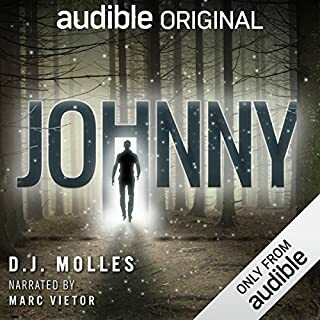 Porter is an actor and award-winning audiobook narrator. This book really surprised me! It strikes a perfect balance between multiple sci-fi themes (A.I, robotics, ethics, exploration, etc) and it's very entertaining! It also satisfied my action and adventure needs. In addition, it's very well written. Overall a great book. As a sci-fi veteran I definitely recommend it! If you're on the fence about whether to read this, get off and read it! So, I've been seeing this book around for a long time. And for just as long I thought the title seemed stupid, and so I avoided looking at it. Even after I read the description, I thought it sounded derivative and uninteresting, so I still avoided reading it. And then for no apparent reason, Nathan Lowell recommended it. Now, if you have any sense, when the reigning master of must-read, different-than-anything-else Science Fiction tells you to read something, you sit up and pay attention. 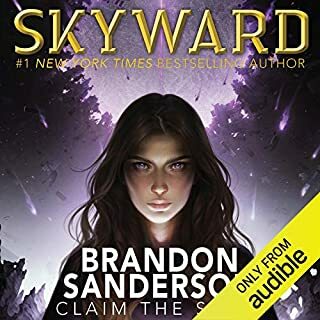 As a happy coincidence, audible had it on sale for under $5 this week, although at this point I probably would have dropped a credit on it even if they hadn't. This book was nothing like I expected. You really get to know the different variations of Bob, what their personalities are, how they relate to the others, etc. The technology is interesting, the story is interesting, and the whole book is a great deal of fun. I was really sorry when it was over. Rarely have my expectations been so overturned by a book. I will definitely read others in the series if they appear. I had been skeptical whenever I saw this book recommended for me, as my general preference has been non-fiction. However, it was time for a change, and as reluctant as I was, the overwhelmingly glowing reviews here won me over. The plot itself is very attractive to me, being/controlling Von Neumann probes and all of the exploration and wonder that would come with that mission. The author has done an excellent job of keeping things interesting, realistic, and covering his bases in terms of the actual science involved and other issues that many would not think of initially. I never had a &quot;this wouldn't happen in real life&quot; moment, and I am a fairly skeptical person. Ray Porter does an excellent job bringing life and personality to the various characters, including having to do multiple versions/personalities of Bob. As far as the main plot goes, it is outstanding. If your version of heaven is living forever, being able to duplicate yourself, and playing real time strategy games all day for high stakes in between diving into Wikipedia and Youtube for education and edification, I think this story will appeal to you. I was never bored, and plan to purchase the next 2 books. 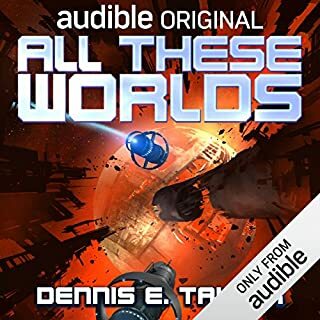 This was an outstanding purchase and one I would recommend to other Sci-Fi fans and Audible customers. Dizzying Tour de Force Performance of Great Book! If you love sci fi, you already know about this awesome book. It's a pretty original concept -- governments clone human-personality-infused-AIs and send them into space as self-replicating probes to find new planets for humans to inhabit. Some of the probes go insane, some turn into weapons of mass destruction, and some . . .
. . . well, Bob is different. A bit of an independent loaner with no political axe to grind, Bob sets about creating a 'world' HE can live in first! Still, the prime directive is all about replicating, so bring on the Bobs! Ray Porter does an amazing job voicing the various Bobs -- and all the other characters in this book -- while the pop culture sci fi references provide opportunities for a few homages to beloved characters. The book would not have been as fun to listen to without him! I. CAN. NOT. WAIT. FOR. BOOK TWO! ALSO, ahem. Sorry. Also, here's a shout out to Jim the Impatient for the recommendation! Thanks big guy! Only an Hour into the Book !! I know there are a ton of people who have listened to this book already and have provided excellent reviews ... hell, that's why I bought the book. 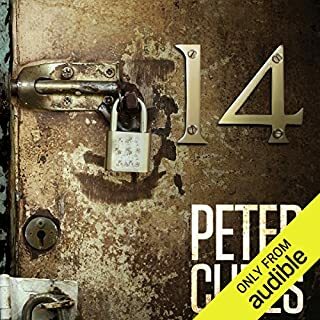 I'm only an hour into this book, but it's already done something that no other audiobook that I've bought has done before. I was taking the train into work when I laughed out loud with a thunderous "HA!". I think I knew that I did it, but after glancing around the train car, virtually everyone was smiling at me. Dennis Taylor can write ... and Ray Porter is giving me a great performance. Thank you to everyone's review I read that convinced me I had to listen to this book. And for everyone reading this ... buy it. You won't regret it. This is what Science Fiction is meant to be. The fans for this book will be Legion. 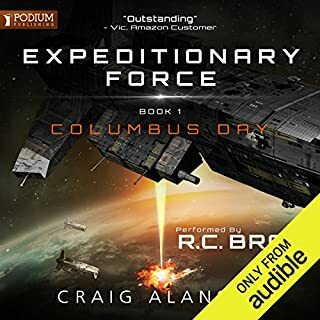 This is full of lots of space travel, exploring of planets, terraforming, discovery of aliens, science talk, colonization, and of course THE BOBS AND THE BOBIAN FEDERATION. I was reminded of THE MARTIAN, although not as funny, Frederik Pohl and James P. Hogan. There are some space fights, but those who love space and all the possibilities, will enjoy this most. SO THIS IS LIKE ANDROMEDA STRAIN? As usual, Ray Porter makes this even better. This is a great story for the typical sci-fi story lover; especially someone who is familiar with 80's and 90's sci-fi TV references. 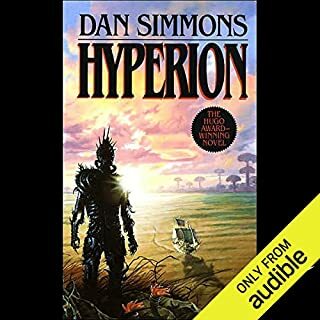 The narrator does a great job playing multiple characters, using several different voices-the one from the Star Wars Admiral is awesome. 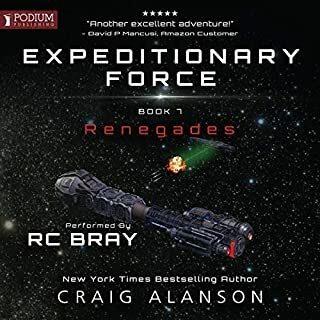 I listened to this book and then went and saw Rogue One the same night and chuckled because the narrator could have been the actor on the screen. (if you listen to the book you'll now what I mean.) 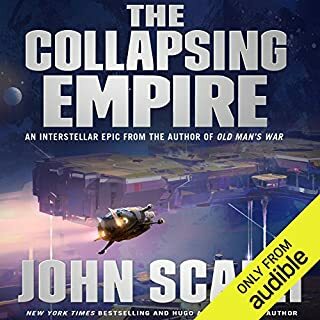 If you like books like Player One, Monster Hunters, Ancillary Justice, anything by John Scalzi, and TV shows like Battlestar Galactica, Dark Matter and The Expanse then I'm pretty sure you'll enjoy this book. And if you don't, Audible has that great return policy. 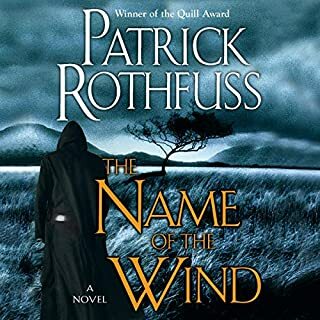 I look forward to listening to the next book in the series! Ok you get the picture… as a result of being poor I am very selective in the titles I purchase at the moment. I certainly don’t want to waste my money on junk! Wasting my money on junk seems to be all I have been doing lately... I have also decided it is time to increase the number of genre I listen to, so that I am not stuck in this situation like I am in now waiting for my favourite authors to release the next title in a series. This title ‘We Are Legion’ had appeared a couple of times on my ‘based on previous’ titles but I had never taken the time to really check it out. It probably appeared on the list because I have listened to several books narrated by Ray Porter. I like Ray’s voice… but not to the same degree as R C Bray or Sean Runnette. So it was given the tentative tick for narration. The blurb interested me but didn’t really make me want to instantly smack my money down. However, the deal was done the moment I read the reviews! Look I am just going to stop the jibber jabber! And tell you this one is definitely a winner! I would have paid more for it! The biggest problem with it is simple, it is so good, so interesting, so surprising that I listened to it in one day! So at this rate I was burning through my money faster than before! Thank goodness for pay day, because I am now able to purchase the next in the series. You’re a bad man Mr Dennis E Taylor you are like a crack dealer! You should be ashamed of yourself, you have me hooked so bad, I am like a monkey with two bananas in my hands! Just do yourself a favour and get to know the Bobs! I love you Bob!